This post is in partnership with Dr. Seuss Enterprises. All views expressed are my own. My first Dr. Seuss memory was reading my childhood copy of Green Eggs and Ham with my mom! I loved the illustrations and remember feeling a sense of accomplishment when I could finally read it all by myself. It means so much to me to partner with Dr. Seuss Enterprises to celebrate Dr. Seuss’s 115th Birthday on March 2nd! I was fortunate to have been raised in a household where reading was a top priority. Getting an early start with reading had so many positive impacts on my education and my life. Every story I read was a chance to expand my imagination and discover a new world! Now that I am a mom myself, it has been a joy to introduce my daughter to books and reading pretty much since birth. Young children develop early language and literacy skills long before they are able to read. Reading out loud to children helps them to nurture these skills. It also helps prepare them for school. 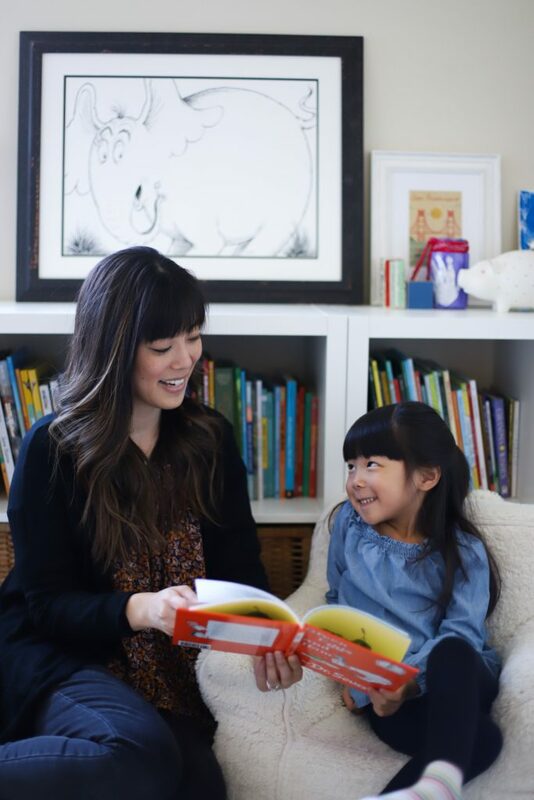 My daughter is an early reader and had started reading independently at age four. Some of the first books she read were Dr. Seuss board books like Dr. Seuss’s ABC: An Amazing Alphabet Book! (which is still a favorite). Dr. Seuss’s books have a cadence that is easy for young readers to follow, and his important life lessons inspire children of all ages. 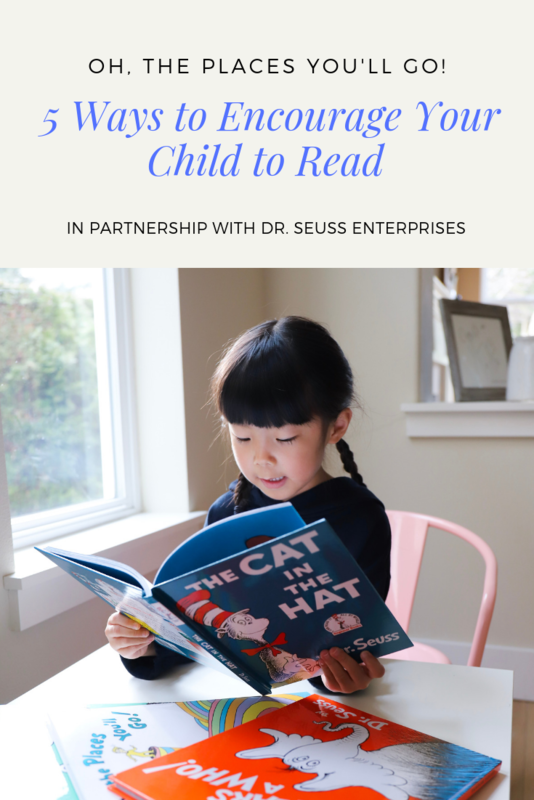 In honor of Dr. Seuss’s birthday and his passion for literacy, I am sharing five ways I encourage my daughter to read. Reading together shouldn’t be boring. Dr. Seuss believed that reading should be fun! Try reading out loud with different funny voices and make the characters come to life. 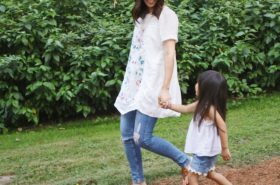 I also create an interactive experience and will often ask my daughter a question or find some way for her to participate. When my daughter enjoys a book, she will ask me to read it over and over again. She started memorizing her favorites early on, and I believe having fun with the words and stories continues to enrich her reading experience. Did you know Dr. Seuss wrote and illustrated 45 books in total? Although the beloved Theodor Seuss Geisel is no longer with us, his legacy lives on in the pages of his books. What’s your favorite? 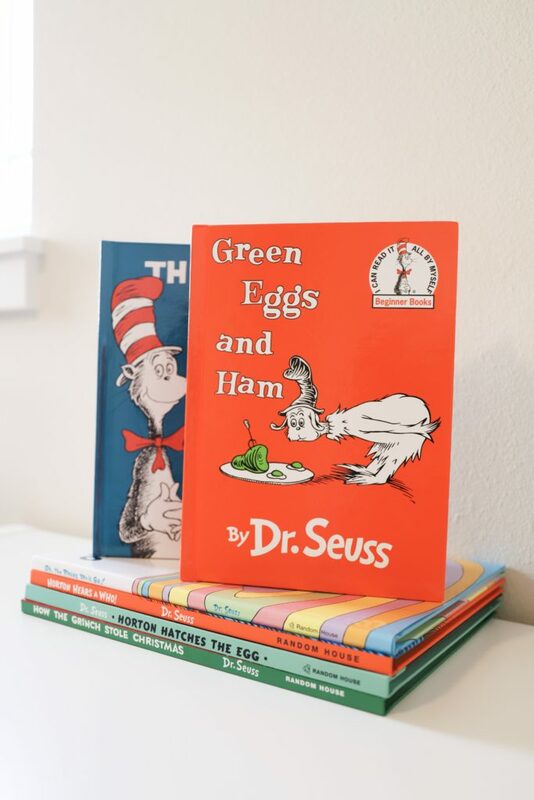 Green Eggs and Ham, The Cat in the Hat, and How the Grinch Stole Christmas are just a few of our favorites! I keep a stack of books in every room of our house including the bathroom! My daughter is more likely to pick up a book when she sees them around. We keep books on the kitchen table and even in our cars. Car rides are much more pleasant when she has a book to occupy her time! We have also had a lot of success with listening to books on CD in the car. You can purchase them or borrow them from your local library. I make an effort to always say “yes” to my daughter when she comes to me with a book. I drop whatever I am doing to read with her. Even if I can only spare a minute, I ask her if she can find a short book, and I give her that minute. We, as parents, are cultivating young readers and we need to support their interests in reading; especially when they take the initiative! Reading a bedtime story together has been an important part of my daughter’s bedtime ritual since she was an infant. There was a time when she was a squirmy toddler and didn’t really want to sit and listen to a story. We persisted and sometimes only a page or two was read before she’d take off. It’s important not to give up or get too discouraged. Whether it’s at bedtime or another time of day, set aside some time to read together and be consistent. My daughter has a cozy, carpeted corner of her room with a comfy chair just her size and a shelf of books. She will often sit and look at books by herself. It’s not a place for punishment or time outs. It’s a positive space where she can go to have quiet time and read. 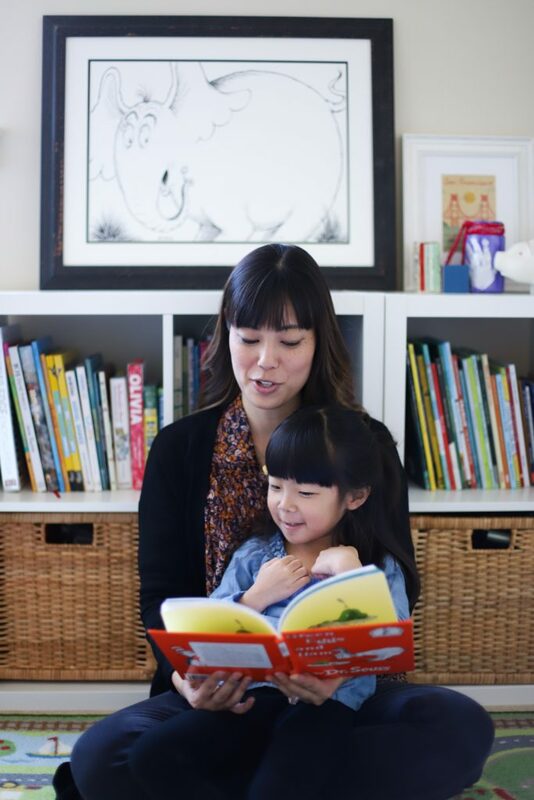 How do you encourage reading with your children? 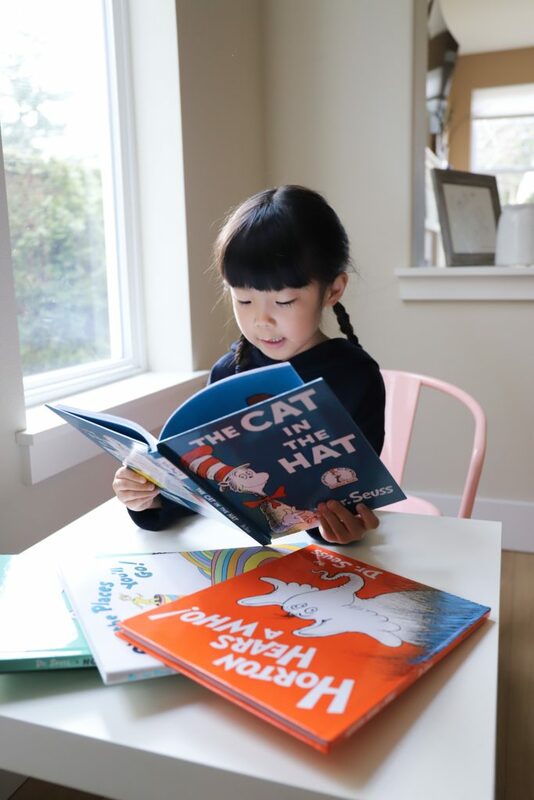 On March 2nd, help celebrate Dr. Seuss’s 115th Birthday by enjoying free reading events at Target stores across the U.S. Visit this link for more information and to find a participating store near you. One Fish, Two Fish was my FAVORITE book to read to my twins when they were little. We still enjoy pulling it out every so often. Reading is a big part of our lives. I’ve read “One Fish, Two Fish, Red Fish, Blue Fish” so many times I can recite it from memory! Dr. Seuss books are some of our favorites both for educational purposes and just plain fun! Last year my daughter was in Suesical, Jr. My younger daughter wanted to read all of the books.